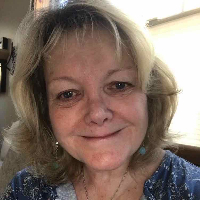 By earning a PhD in Counseling with an emphasis in Counselor Education and Supervision while maintaining my license as a Licensed Professional Counselor in Colorado I have served clients professionally as a mental health provider for 12 years in the state of Colorado. I believe I can assist you in your own self-exploration while identifying your inner needs and together we can develop new healthy skills that will help you grasp life's daily challenges in a more productive and meaningful way. I am dedicated as a counselor in my desire to professionally help individuals meet their personal life goals. Using a warm and caring professional demeanor, I work to help clients by employing a humanistic approach to counseling that aims at benefiting what they need and want to change in their lives. The client drives this change process, by setting reasonable goals clients can see change occur. In our therapeutic work together I like to provide you with worksheets and educational handouts and ask that we set goals (these can change from time to time as you reach them in therapy), so you can see your progress as you commit to the changes towards a stronger commitment to a self-awareness and personal growth. As change is wanted in our lives sometimes this growth process is painful, but I will support you in this endeavor. In the confidential therapeutic environment I can assist you in your search for answers to problems that negatively may be impacting your relationships, social interactions, educational and professional performances. I believe that a positive counseling experience can help you achieve your personal goals and increase your ability to chose to make positive choices, thus creating a more fulfilling life that you desire. I honor you for seeking professional assistance and I look forward to working with you. Love her! She makes me feel really comfortable about sharing. Dr. Hughes Bise, made me feel confident and find a new outlook on life. After just two weeks, I felt the difference and saw a change. I used all the tools she provided and could definitely see the results. She is very warm and gentle with her approach, with great results in a short amount of time. I always look forward to our next sessions. Dr. Hughes Bise has become someone I can confide in without feeling judged or pressured into a decision. She's helping me understand my own self and work through my issues. She's been the exact support that I need. Dr. Hughes was wonderful to work with. I would highly recommend to anyone who is in need of counseling. She helped me to find and respect myself. She gives great advice and truly does care about your issues and is very true to you. I only got to work with Dr. Hughes Bise for a short period of time but she was wonderful. In the short time we spoke I learned a lot of helpful techniques that helped me become more positive and look at life in a completely different way. I am glad and happy that I am able to talk with someone who understands and directs me clearing out my confusions and doubts. It has helped me to gain my self-confidence. I have enjoyed the conversations with Nita and I’m always excited on the days of our session. She’s helped me develop boldness in tackling life’s issues, having uncomfortable conversations and always choosing to think that is conducive to happiness, even in unhappy and confusing circumstances. I instantly felt comfortable having these tough conversations with her that I have never had before outside of my mind. I have better emotional intelligence from this experience with Nita. I shared with Nita that I love the fact that for one hour a week, I can say the wildest things that I’ve held back for so long and there’s no repercussions, judgement or the other persons feelings hurt. I’ve thoroughly enjoyed this experience and one of the smartest things I’ve ever done for myself. My soul and mind is going to thank me for this in the number of years to come. I’ve also taken big practical steps in fixing my issues thanks to Nita’s one advice that could change my life literally. Nita has given me Hope that I’ll be okay. Thank you Nita and thank you BetterHelp!!!! Dr. Hughes Bise has been able to help me develop goals and determine ways to work towards them in steps that are manageable and appropriate. She listens and provides advice that is on-point and direct. Although I was reluctant at first to engage fully in therapy, I have noticed times throughout the day where things that we have spoken about have come to me and helped me to move forward in a positive direction towards my goals. Would you like to write a review for Dr. Hughes Bise? We'd appreciate if you can spend a couple of minutes to write a short review for Dr. Hughes Bise (PhD, LPC). This review would be shared with Dr. Hughes Bise. It may also be posted in our website or in Dr. Hughes Bise's profile but it would be anonymous and your identity would be kept completely confidential.